For some animal species, time on planet Earth is running out. There have been five mass extinctions in the planet’s history, and animal populations so far suggests that we may have entered what will be the sixth great extinction wave. Since the 1960’s and 1970’s, when the idea of saving many of the world’s animals was first recognised, scientists have strived to save dwindling animal numbers. But, despite efforts the list of endangered species has more than doubled in the past two decades according to the International Union for Conservation of Nature (IUCN). More than 23,000 plant and animal species are listed on the IUCN, including corals, birds, mammals and amphibians. 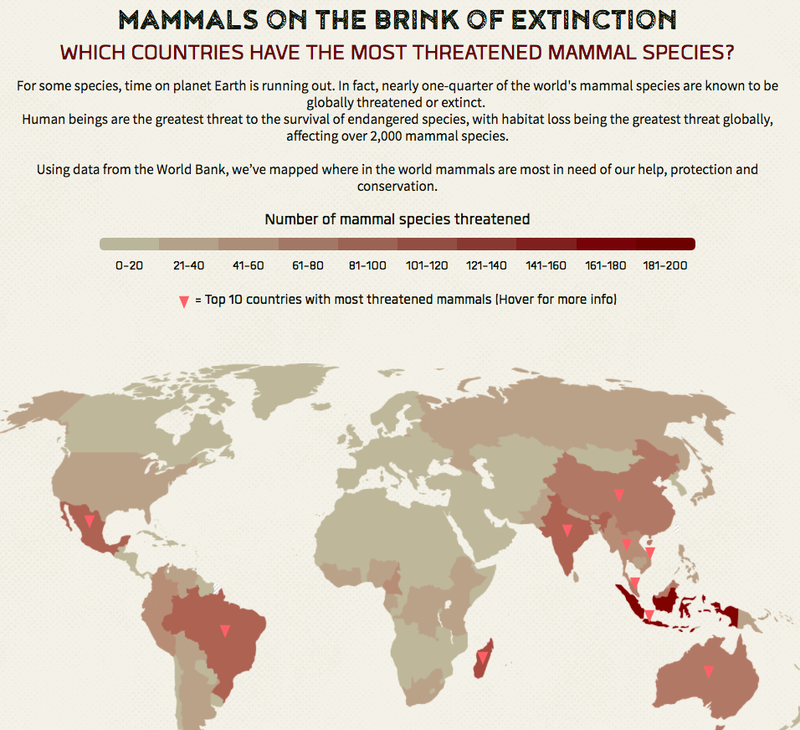 As it stands, 3,406 mammal species are categorised as threatened. In 2015 the number stood at 1,201. Extinction rates have reached levels unparalleled since the dinosaurs died out 66 million years ago, and this is mainly because of air and water pollution, forest clearing, loss of wetlands, and other man-induced environmental changes. As human beings we are responsible for being the biggest threat to endangered species. Habitat loss is the greatest threat to wildlife globally, affecting over 2,000 mammals. For World Environment Day, we’ve highlighted where in the world mammals are most in need of our protection and conservation.